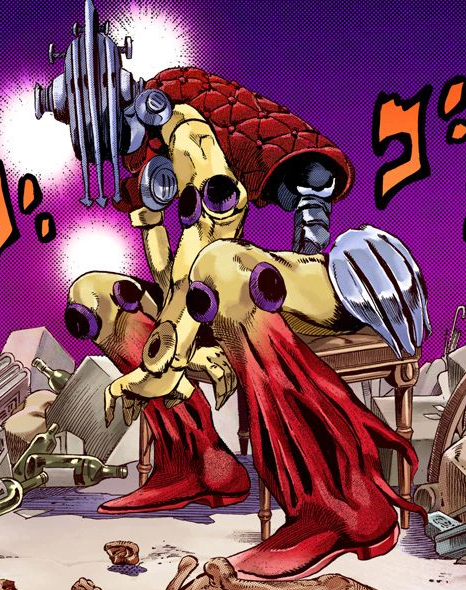 Now that you have a general idea of what a stand is, maybe, let's look at one whose design is only a little weirder, but whose power is completely bonkers...and still only kind of average-bonkers for this series. First, the design. "Civil War" may be completely humanoid, but its parts and pieces are unusual enough that it still feels even more imaginative than many of the non-humanoids we'll be seeing. I love the tacky, red velvet upholstery on the torso, the ragged legs, the laterally flattened metallic head, the "antennae ears" or whatever you want to call them, and the breathing apparatus attached to the base of its neck. I'm not usually as into machine-like designs as organic ones, but most stands don't even come across as "mechanical" so much as "made of inanimate materials." They're not alive, they're not robotic, they're just sort of...things. So, on to the power. 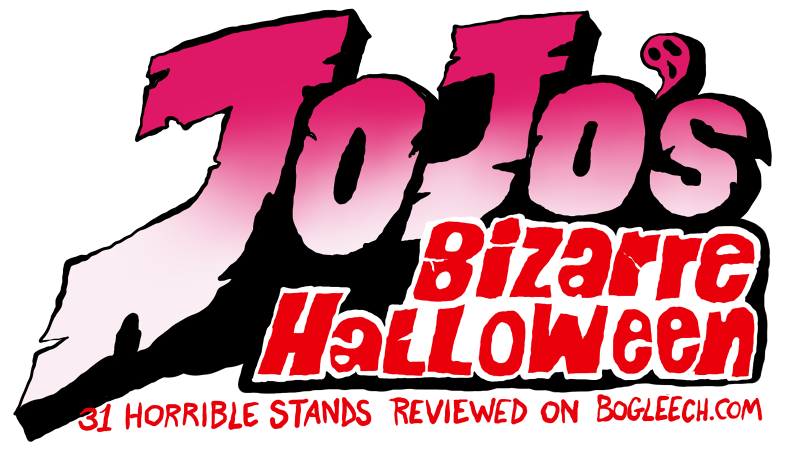 This one sounds so weird on paper that I really had to find, read and re-read the appropriate manga chapter to be certain it was even described to me the right way. "Civil War" has the power to manifest anyone or anything a person has ever "abandoned" or "discarded" in some way. 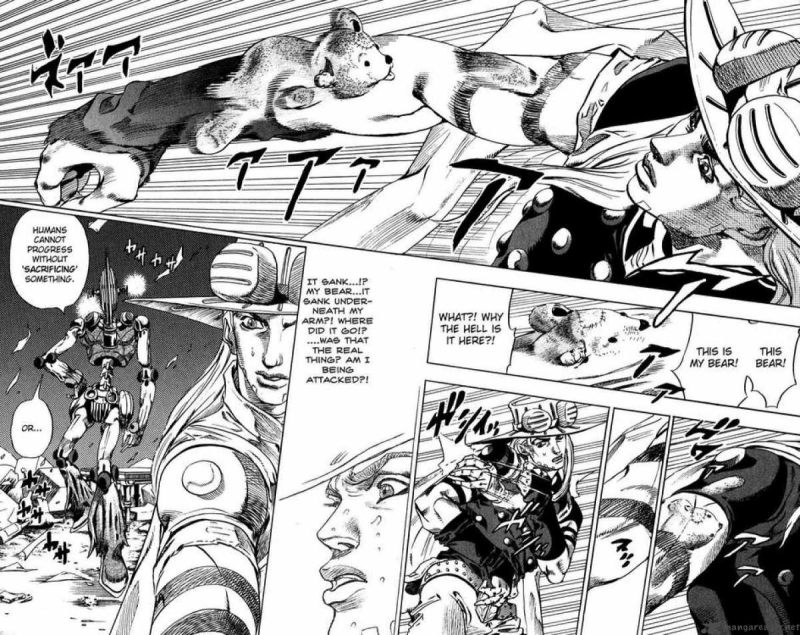 In this case, the little brother of a woman named Hot Pants, not even really a weird name for this series. 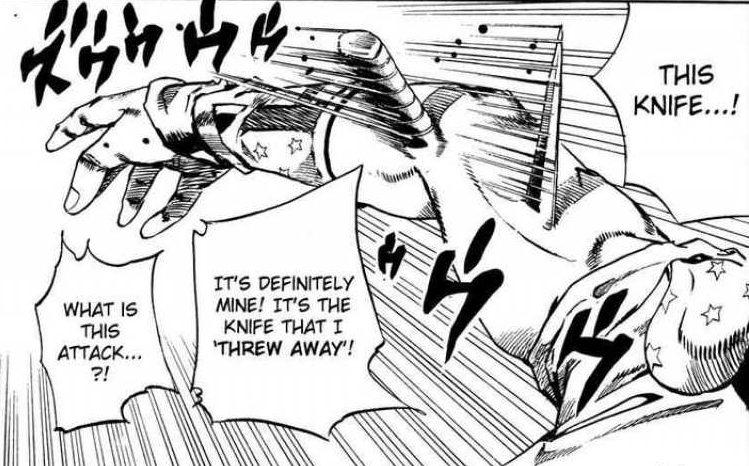 One this phantom of the past is manifested, it physically fuses to the victim's flesh, as we see here, which feels appropriately "ironic" enough, but it still goes one step farther from there. 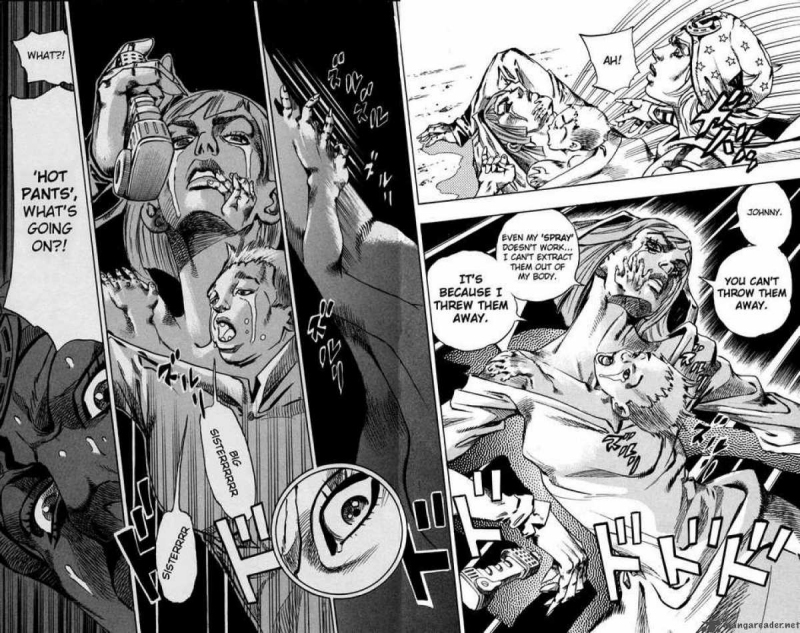 As it continues to sort of melt and ooze and slime all in and out of the victim's body, the manifestation flares out some of its matter into a thin, transparent sheet and wraps both of them up in it, like a garbage bag, and finally shrinks this membrane with enough force to crush the victim flat. 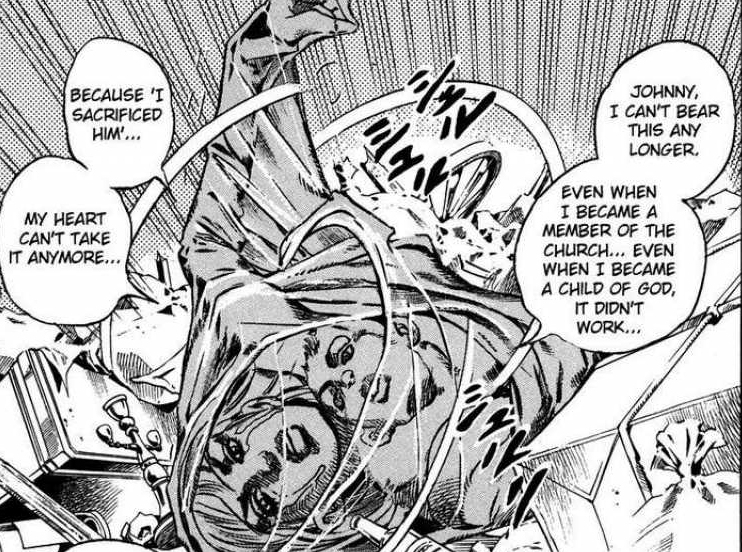 This, and countless other concepts in Jojo, capture the weirdness of fever-dream logic better than just about anything else I've ever read, and that isn't even the specific intent. ...Because it also works on inanimate objects.